1. How to understand and solve word problems. Learning how to solve word problems is very important to me, because these are most of the problems that I will face in everyday life. It is a good skill to have and will help me in the future. This is an example of a problem I may face if I went into business. Graphing is a good skill to know, because is helps understand and analyze data. I have learned that there is so many different ways you can graph and so many different types of data you can graph. Graphs, also are displayed to me very often in life. Some important terms are the roots, y intercept, slope and the vertex. 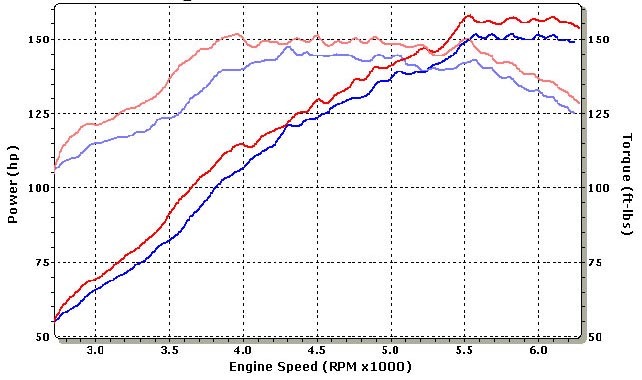 Here is a graph showing the power and torque curve on a miata. Inequalities are used with limits and they can telll you the limits of what you can make, build, buy etc. I learned how to solve inequalities by factoring. Inequalities can also be plotted on a graph. This is a question about the max food you can buy for $5 and I think this is a very important skill to know. Solving expressions were involved in about half of our units. I learned how to solve expressions in many different ways, for example factoring, completing the square, graphing and the quadratic formula. All these methods work for different expressions. 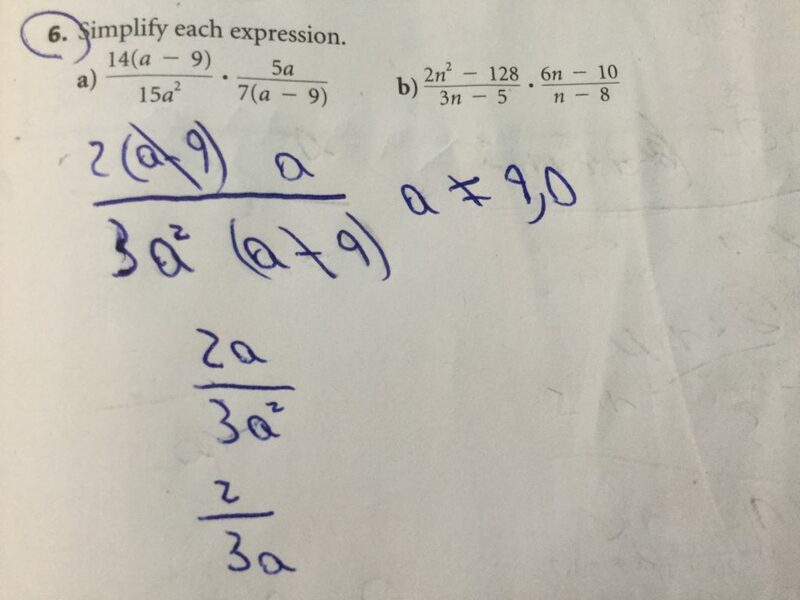 Here is an example of factoring and completing the square to solve the same expression. Trigonometry was a very interesting unit. The relationships from the sides and angles in a triangle can help you solve many different problems involving shapes and direction. You could use trigonometry in carpentry, geography and navigation. Here is a common question that I learned how to do. This week I learned about angles in standard position. 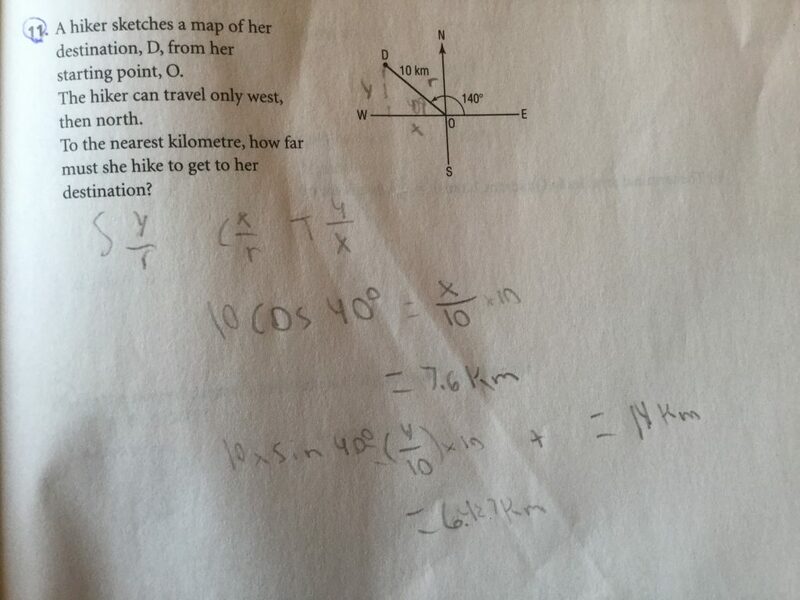 This question first asked me to graph point P in standard position. I did this by using the x value 11 and y value -7, and then connected the lines to create a right triangle. 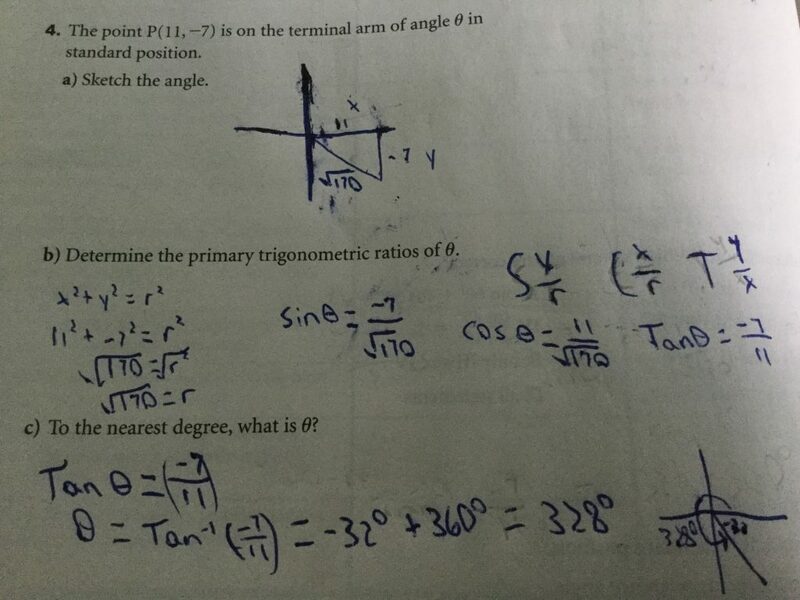 The next question asked me to determine the primary trigonometric ratios of theta, so then I had to find the missing side length r by using pythagoras theorem. After I had all the side lengths of the triangle I could plug them into sin y/r cos x/r and tan y/x. The last question asked me to figure out what theta was. First I used tan to get the reference angle, and then I subtracted 360° to get the rotation angle. This week we also learned the sine law and the cosine law. You can use the sine law when you have an angle that is across from a side length. For the sine law you also have to use the cast rule to figure out if there is an ambiguous angle. You can use the cosine law when you have two side length and one angle or all three side lengths. This week I learned how to solve rational equations. This question asked me to solve the equation. The first step was to find a common denominator. Then I multiplyed the common denominator by both numerators where that part of the expression was already there. After I just had to solve and find the non-permmisble values. This week I learned how to multiply rational expressions. 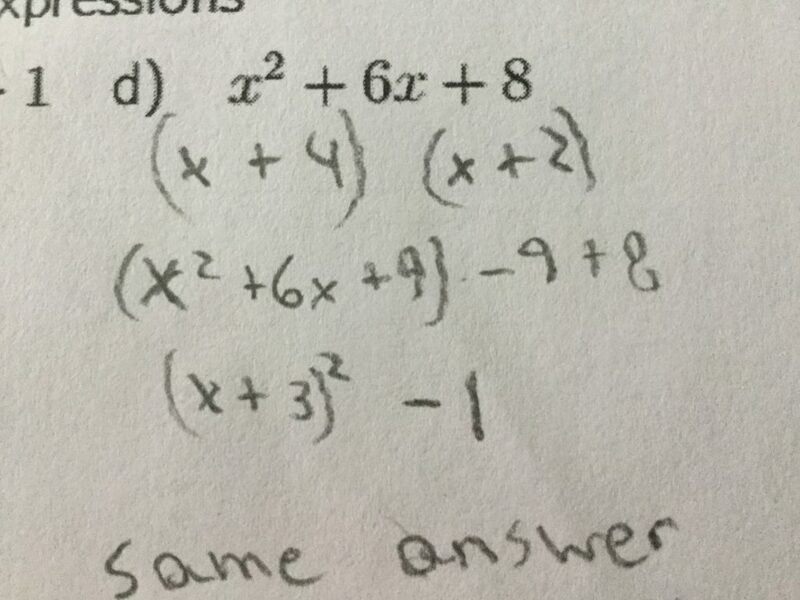 This question asked me to simplify the expression. The first thing i did in this question was reduce the coefficients, and then I combined the two expressions together since it was multiplying. After I factored out what I could from the expression to figure out which factors can cancel out. 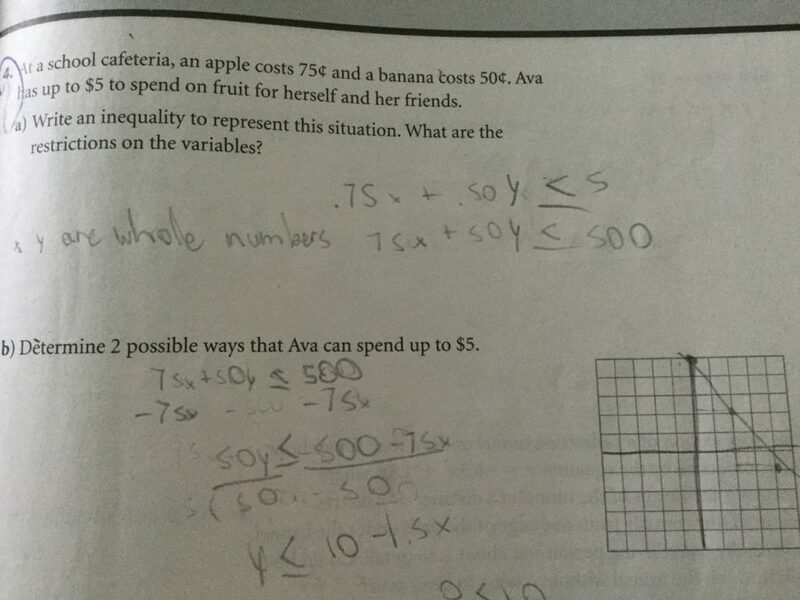 Then i just reduced a to figure out my answer. The last step was to find out the non-permissible for a, and this means the values that will not make the denominator equal to zero. This is because in a division question you aren’t allowed to have the denominator equal to zero. This week I learned how to graph quadratic reciprocal functions. This question asked me to figure out the parent function of the graph. I knew it was c, because I drew the parent graph by going through the invariant points. I also knew that the graph only had one root, because there was only two hyperbolas. Then I used 1,3,5 to draw the rest of the graph. This week I learned how to graph linear reciprocal functions. This question asked me for each pair of functions, use the graph of the linear function to sketch a graph of the reciprocal function, and state the domain and range. 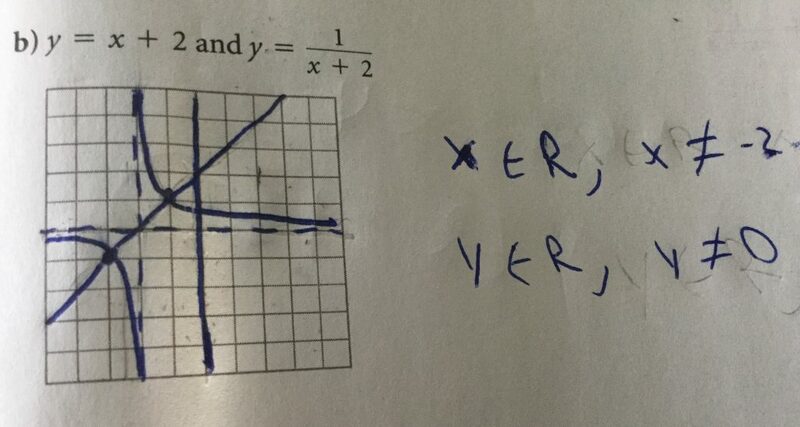 First I sketched y = x + 2 by using the slope and the y intercept. Then i had to sketch the reciprocal of that function. First I figured out where the invariant points so I could draw the vertical and horizontal asymptotes. The graph never cross the asymptotes. Then I could sketch in the reciprocal of the graph. The domain and range are both elements of the real numbers, but they do not go through the origin of the graph, because there is no reciprocal for 0. This week I learned how to graph quadratic inequalities with two variables. 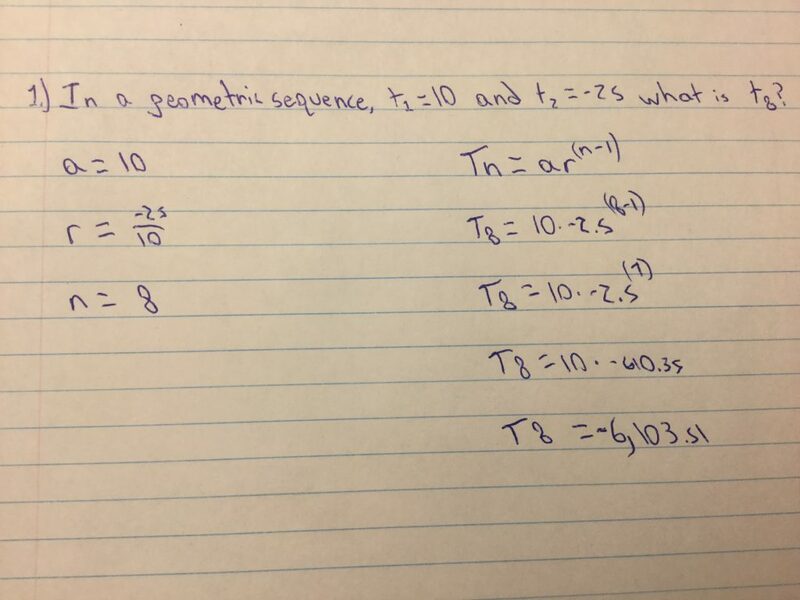 This question asked me to graph the inequality and state 3 points that satisfy the inequality. I graphed this inequality by using a to know that the graph opens down and is in the form 1,3,5 and 8 is the y intercept. I tried those three points and they satisfied the equation so I knew to shade in the inside on the graph. I, also knew that it was a dotted line because the inequality is less than < and not less than or equal too. This week i reviewed for the midterm. 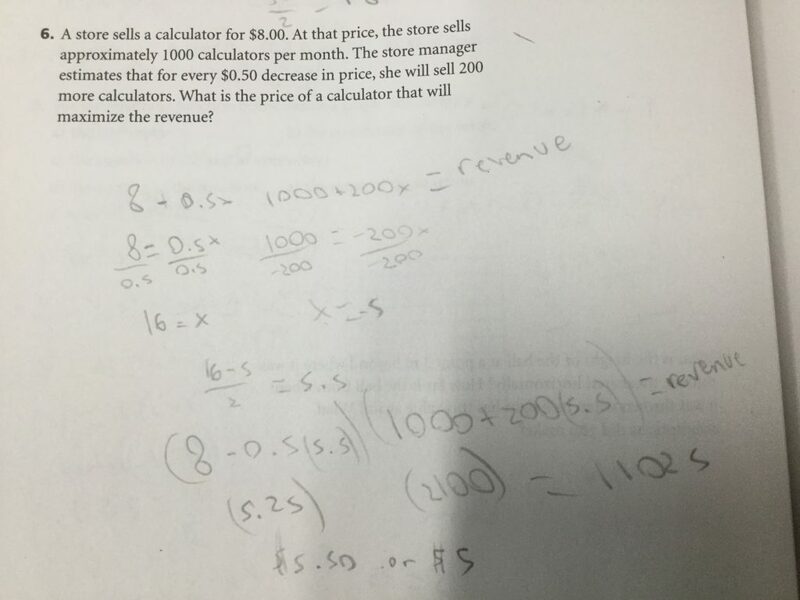 In solving this problem you first need to find “R” by using the formula . Once you have found “R”, you can input all the values you have into the formula . Using BEDMAS go step by step to find your answer. This week I learned the equivalent forms of the equation for a quadratic function. This question asked me do each pair of equations represent the same quadratic function. I checked if they were the same by changing the equation in general form to standard form. 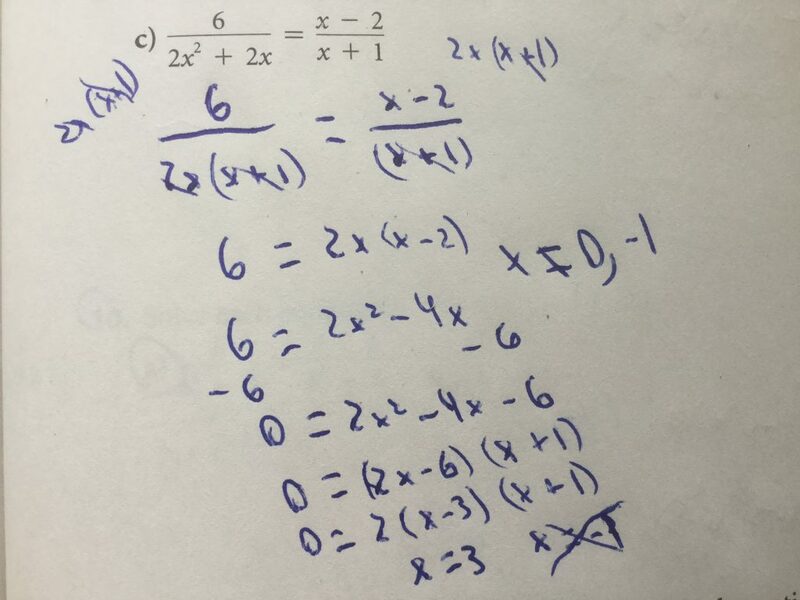 To change the equation you need to factor by completing the square like we did in the last unit. The equations were then the same, so I knew they represented the same quadratic function.